Druid Hill Park is a beautiful, historic 745 acre urban park established in 1859. 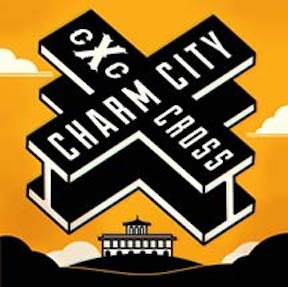 In 2018, Charm City Cross will mark our 14th annual race and our Eighth year as a UCI sanctioned race. This is a Category 1 and 2 UCI and USA Cycling cyclocross event. The event will be held under UCI regulations and USA Cycling Permit # 2017-2693. UCI scale of penalties and USAC penalties will apply. There is also a nominal fee to register online with BikeReg. On-Site Late Registration may be available for non-UCI classes, however we urge you to register online to avoid the additional $10 same day registration fee. UCI racers must preregister. The registration pavilion will open by 7:30am and closes 30 minutes before each race. The UCI Elite Men/U23 Men, UCI Elite Women/U23 Women must have a current International License. A domestic USAC license is acceptable for all other categories. Annual and One Day USAC licenses will be available for sale at the registration booth. Only participants in races including Cat 5 men and Cat 4 women may race on a one-day license. Note: There will be no separate payout for the U23 Men and U23 Women racing in the UCI categories. Note: For the races with combined fields, the 135 field limit is for the COMBINED field, not each individual field. BikeReg will be set up such that once the limit has been reached for the combined field, registration will close for each of the individual fields within that combined field. The course will be open for inspection and warm-up approximately 15 minutes prior to each event. The officials will make an announcement when the course has been opened for inspection. Warming up on the course during an event is strictly prohibited and will not be tolerated. Violations can result in disqualification. We suggest you inspect the course at least two slots before your race as you will need to get to the starting grid 15 minutes before your start time for staging. This is a traditional Charm City Cross course looping through historic DRUID HILL PARK. -A Combination of pavement, flagstone walkway, grass, dirt, sand, and obstacles will be used. The course begins with a 250m slightly uphill paved road start with a wide, sweeping right turn onto a grass and dirt surface with no sharp turns and plenty of room for passing. To stretch the race out a bit after entering the grass, a sweeping left turn will carry the race to the base of the paver climb to the Zoo Mansion House. You will descend a series of turns through the grassy meadow as riders make their way back to the treed gully before entering the first side of the pit. Upon exiting the pit, riders will climb to the second highest point of the course, but not before ascending the Charm City steps on the way up. To add to your enjoyment, you may descend back toward the pit and return to the second high point for a second time. Initiated by a sweeping right hand berm, the gentlest part of the course winds toward a road crossing before heading up to the sand pits. Each of the four passes through the sand is ridable, but can become a short run. From there, riders enter a meandering downhill that leads to a short climb before hitting the pavement of the finish stretch. Past the finish, riders make a large sweeping right hand turn that returns you to grass and brings you into the sharp right 90 prior to the set of planks beneath the announcer’s stage. Past the stage, riders make a left hand turn making their way around the ballfield to the flyover that will bring them back around to the second side of the pit. Upon leaving the pit for the second time, the course passes the team tents and the off camber hillside turns. Following this section, riders return to the point they entered the course proper for another go at the short hill section. The course is 3.4km in length not including the just under 0.5km prologue with several sections allowing recovery and as many as 4 dismounts per lap. Note: Course description is subject to change and the sand section may be removed for the UCI elite races. The Sunday course starts and finishes the same as Saturday’s version. The switch is in a direction change to the race after the descent from the Zoo Mansion House. After exiting the pit the first time, you take the flyover to the back side sandpits and back through the finish. After the barriers and passing the announcing stage, riders go under the flyover returning to the reversed course. The course is 3.4km in length with several sections allowing recovery and has either 3 or 4 dismounts per lap. Note: Course description is subject to change and the sand section may be removed for the UCI elite races. Racers must report to the holding pen adjacent to the starting grid for staging 15 minutes before the start of their race. If you arrive late you will be staged at the back. Staging Procedure: Riders shall be staged by the rider’s assigned bib number. Walk-up riders will be assigned remaining bib numbers on a first come, first served basis. All riders will line up in the order of their numbers, filling gaps as allowed by the officials/callers. Staging will fill the start grid as specified in the USAC rulebook start grid. The top 4 pre-registered riders with points will be staged on the grid, by bib number, in position corresponding to their ranking in the Super Series standings. Remaining riders will be staged by CrossResults.com ranking. All categories will reserve four spots in the third row, which are to be used for promoters’ discretion call-ups. The first race of each year shall stage racers by their CrossResults.com ranking. Those classes consisting of only cat 5 men or cat 4 women are staged by order of registration, as indicated in the race flier. Feeding: Note that feeding during competition is generally prohibited. However, if the temperature is above 20 degrees C (68 degrees F), the Chief Commissaire MAY authorize feeding during a race. If feeding is permitted it must be done in the Pit lane, but is not allowed during the first two and final two laps of the race. Lapped Riders in UCI Events (UCI Rule 5.1.051): All riders lapped before the final lap must leave the race the next time they cross the finish line. The rider will be given a placing if he or she was lapped more than half way through the race. A rider who is lapped on the final lap shall be stopped at the beginning of the finishing straight line and shall be given a placing on the basis of his or her position. Additionally, Commissaires may pull riders who are behind by more than 80% of the leaders lap time. Lapped Riders in Non-UCI Events: Lapped riders will finish on the same lap as the leaders. Riders in danger of being lapped must yield to oncoming racers and are not to interfere with their progress or trail behind them. There will be one double-sided pit on the course. Only authorized personnel are allowed access to the pit and must have their pit pass displayed at all times. Pit passes will be distributed at registration to each competitor (one per entrant) in UCI events (Elite Men, Elite Women). In non-UCI events, only those working the pit will be allowed. The pit official will have the authority to remove anyone that is interfering with the proper functioning of the pit. We will have bike racks in the Pit. These are for racers that are currently racing, not for storing your equipment all day. Please remove your equipment immediately following your race to make room for others. Bike washdown will be approximately 50m from the pit with two pressure washers available. No flat bars or tires wider than 33mm will be allowed in UCI events (Elite Men, Elite Women). Officials will check tires in the holding pen prior to the start of the UCI races. NO FAT BIKES WILL BE ALLOWED ON COURSE, NO EXCEPTIONS. Anti-doping is under the control of USADA in accordance with UCI regulations. The location of the anti-doping area will be noted on site. A Medical Doctor and registered EMT will be on site, set up near the registration pavilion. In addition, Baltimore City Fire Department will have two certified EMT’s on bike present to assist and coordinate any medical action. From downtown Baltimore, take I-83 North (Jones Falls Expressway) to Exit 10,Northern Parkway West. At third traffic signal, take a left onto W. Belvedere Avenue, Sinai Hospital will be on your left. From I-83 Take exit 7 (west) to Druid Park Lake Drive. Make a right at the light onto Swann Drive to enter the park, continue on Hanlon Dr.
At the second stop sign, make a left onto Mansion House Drive. -Turn RIGHT at Druid Park Lake Dr.
-At the second stop sign make a left to access the event. Parking is along Hanlon Dr, the reservoir designated parking areas, and Grove Rd, the Start section in previous editions of CCCX. Pro Team Parking will be along the finish straight. There is room for approximately 10 team rigs (20′ x 50′) and these spots will be reserved based on payment and coordination with the Race Director. Access to these spots will be restricted once races begin, so please prepare to get to the venue prior to the start of racing Saturday morning. CLUB Parking will be behind the CLUB Tents, so please keep an eye out for CLUB Tent Registration available on BIKEREG. VIP Parking will be at the bottom of Mansion Drive and around the “Triangle” near the finish. If you have not worked out a VIP pass please do not expect to get one day of. Event General Parking is FREE and is on Swann Dr., East Dr. and Grove Rd. Do Not expect to park on Mansion Dr and please Do Not park on the grass unless otherwise directed by park staff! Druid Hill Park is a very spectator friendly venue with good sight lines of the entire track from a central location. Most spectators congregate in the area adjacent to the Union Craft Brewing beer garden, natural barrier (tree planter), and sand. The Lil’ Belgians course, kid’s playground, food vendor area, and beer garden are also right there. Bring the family and enjoy the day. We will have clean port-o-john’s and hand sanitizer adjacent to the Registration/Finish Line area. These will be delivered the day prior to the race.